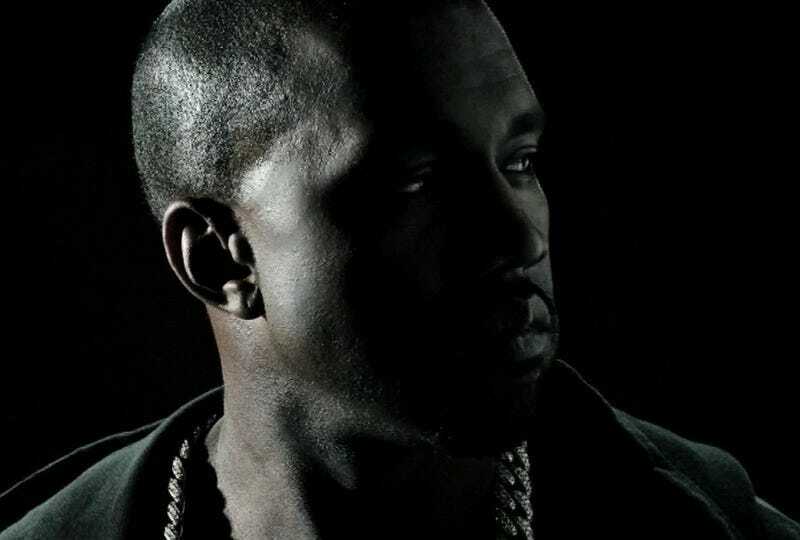 Today is the official release of Kanye West's music video for Black Skinhead, a song off his latest album, Yeezus. You can watch and interact with it here: the website lets you speed up and slow the song down, as well as take screenshots of a weird CGI Kanye. Strange, yes, and yet in-tune with the inscrutability of Yeezus as an album. But beyond that, it's difficult to watch the video and not wonder what a Kanye West video game would be like. Maybe I've just got his Twitter rant about his company DONDA on the mind, because he did say he got some video game designers onboard. What have they been working on since then? Interactive music videos like this one, or...? I for one think the video gaming world could use more Kanye West in it, and not just fan-games where he's a star of a JRPG or flash games that make fun of Kanye. Admittedly, this game about Tweeting as Kanye is really, really good, but even so, that's not what I'm looking for. I'm talking like, either games made by the man himself, or starring a fully rendered CGI Kanye West. Uncanny CGI West from Black Skinhead would do. It wouldn't even have to be some dexterity thing either, like "don't crash into this sign with your head." Can you imagine a The Walking Dead style game that mainly focuses on dialogue? You'd get to problem solve by saying things like "I am the nucleus." I would totally play that game. Kanye West Swaggers His Way Into... A JRPG? I'm not sure what kind of game Kanye West would make—although I can't see him making some big blockbuster thing about shooting—but I'd play it. Maybe it would be a fashion game. Maybe it would be a bonkers video game; I could see him collaborating with Kojima easily, if not butting heads with Jonathan Blow. Kanye said it himself, once: "I want you guys to know and feel where my head is at." I can't think of a better way to get into the man's head than to play a video game about him/his life.